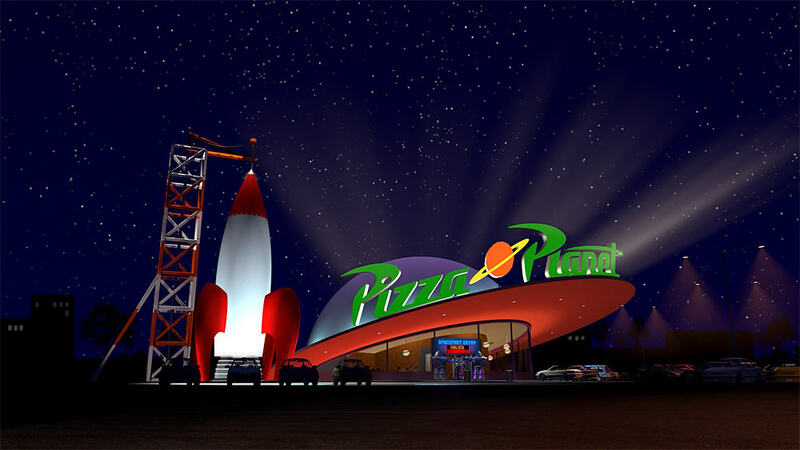 For some reason, Disneyland has had a space-themed pizza restaurant inside of Tomorrowland since 1998, a full three years after the release of Toy Story, and decided to name it Red Rockett’s Pizza Port (not to be confused with the Pizza Port brewery) instead. However, thanks to Pixar Fest, Disneyland is FINALLY re-theming the restaurant to Pizza Planet. And while I’m not sure exactly what the above concept art is for (since I also found it on an Oh My Disney post from 2015) it will probably have a similar aesthetic. Pixar Fest runs from April 13 to September 3.